Every girl deserves to have at least one day to feel special. Like she’s the most important dog in the world! 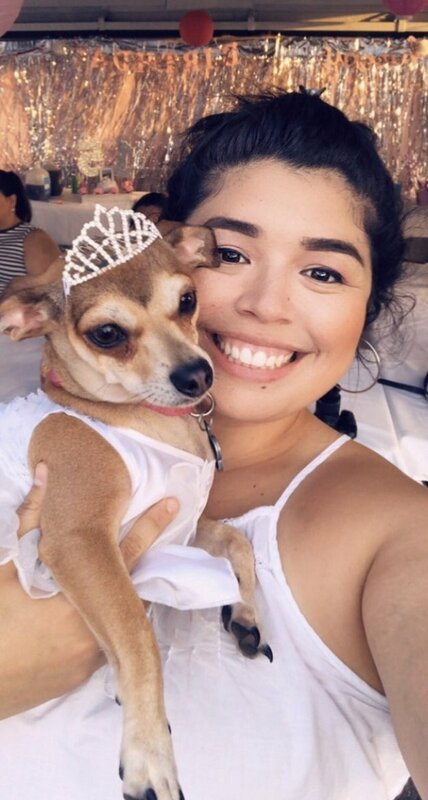 Lupita Conchita, a senior Chihuahua from Corpus Christi, Texas had her day this summer. 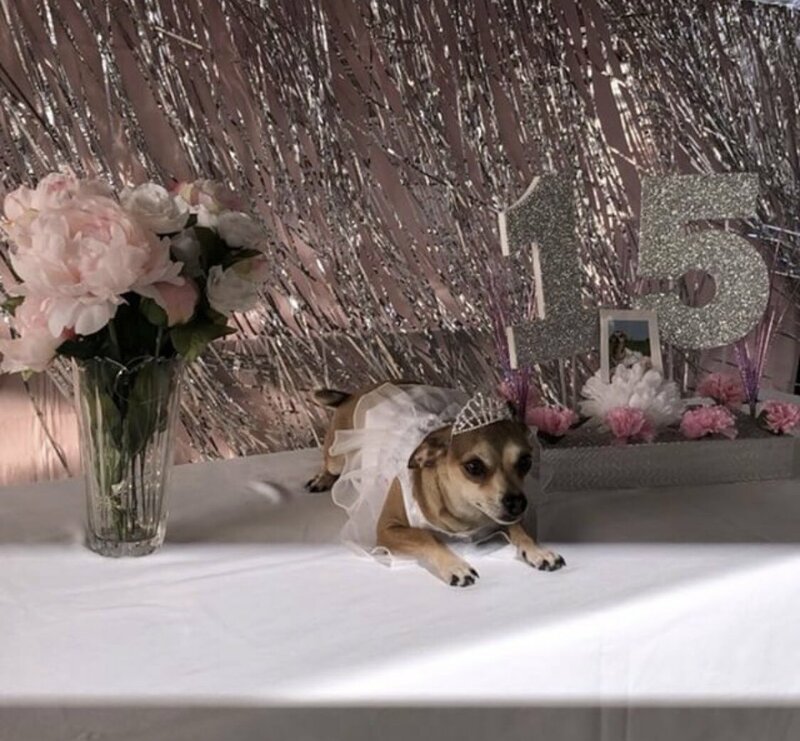 The sassy Chi celebrated her (almost) 15th birthday with loved ones and other pups at her very own Quincenera! 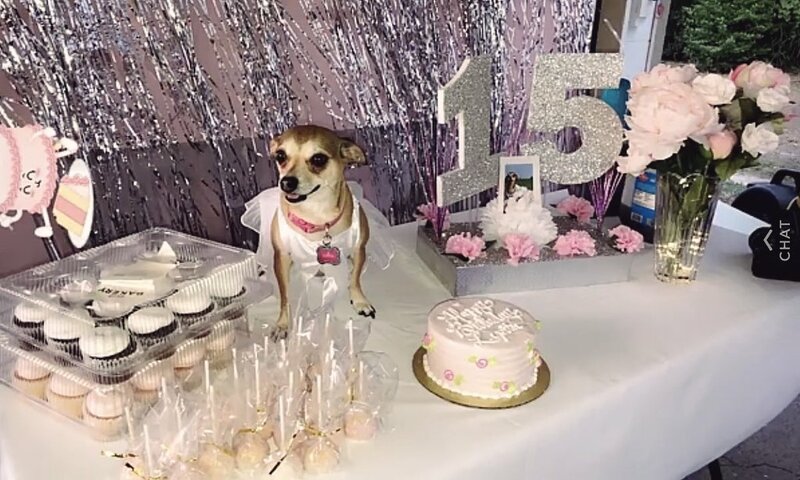 Doting owner Miranda Sanchez invited friends, family and pups, then decorated with glittery streamers and pink paper flowers, and decked out the birthday girl in her very own tiara and gown purchased from a local Build-a-Bear! Guests were treated to cake, barbeque, and gift bags. Miranda went all-out to give Lupita everything any girl could want on her special day – almost! 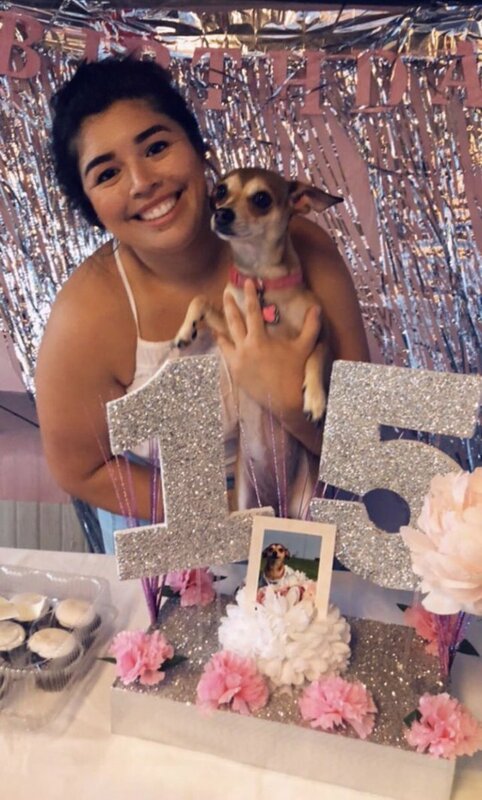 “I was going to get mariachis, but they’re like $150 — I had to remember this was for a dog,” Miranda told MySA. We definitely would’ve understood had she sprung for the band. 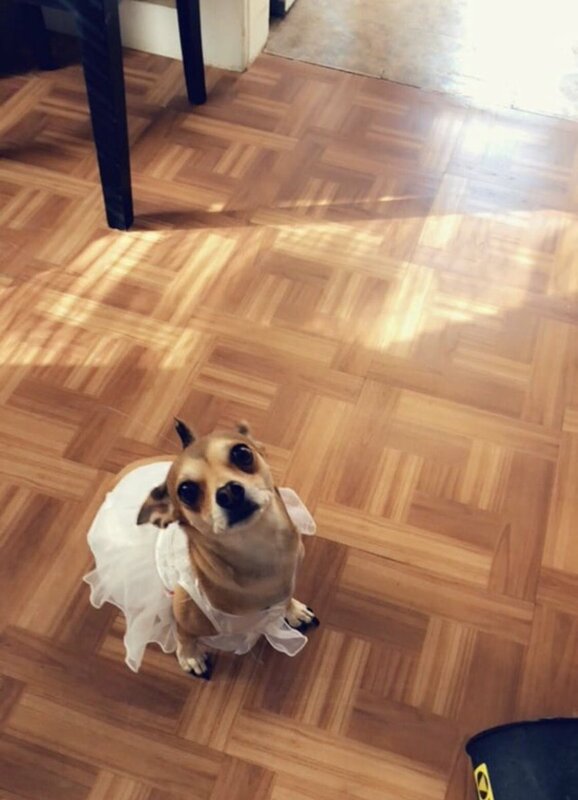 Anything for our dogs! 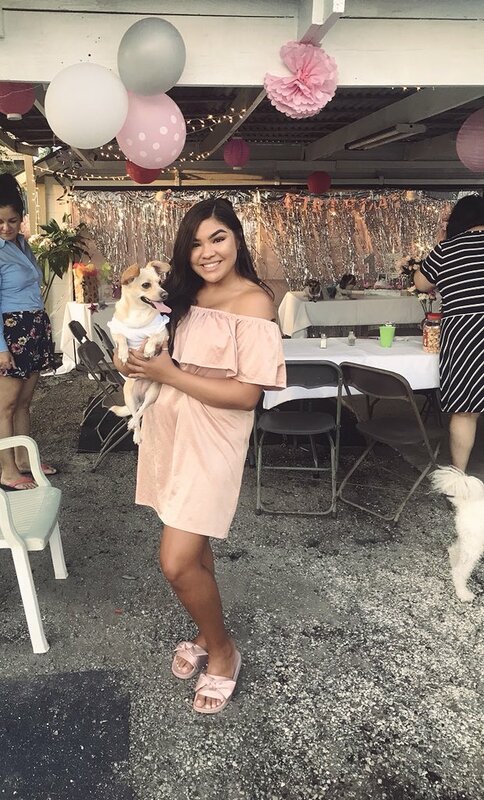 Photos of what looks like the perfect pup party went viral online after a cousin, who was invited along with her dog, posted the photos to Twitter. It’s a long way from where Lupita Conchita started. According to The Week, Miranda found the pup in the middle of a street when she was only two weeks old. She rescued the pup and now spoils her rotten! Lupita Conchita now has her own social media! You can follow her on Instagram.